The emergence of high quality cameras redefines our approach to smartphone filming. G4 Pro - the culmination of feiyutech G Series image stabilization technology, creating a brand-new smartphone photographic experience for artists. 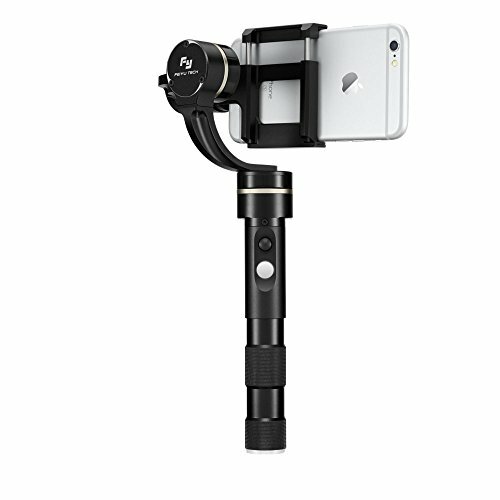 Optimized for smartphones, the stabilization driver is integrated into the weight module making the gimbal fully Compatible for smartphone use. Capturing stabilized, free-floating video footage on your iPhone has never been easier! Designed for easy one-handed operation with a Clip-on system for easy attachment to your iPhone! You can switch between all five modes with just a single LED push-button on the handle: Pan Following, Tilt and Pan Following, All Axis Lock, Inverted, and Standby! Powered using two rechargeable 900 mAh batteries / Battery indicator light on the device lets you know when it's time to recharge! Tripod mount is built into the bottom of the gimbal / Battery charger included / Extra set of Batteries included! If you have any questions about this product by FeiyuTech, contact us by completing and submitting the form below. If you are looking for a specif part number, please include it with your message.